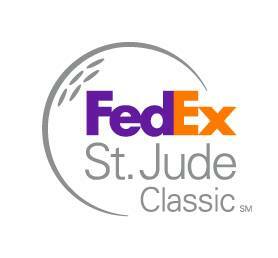 This year’s FedEx St. Jude Classic Golf Tournament was nothing short of an ace! As one of the oldest continuously-operated stops on the PGA tour, FedEx St. Jude Classic has generated over $28 million for St. Jude Children’s Research Hospital. 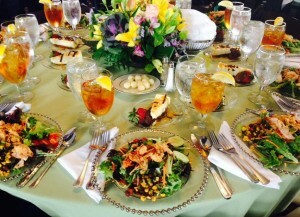 Year after year, Mahaffey Tent and Party Rentals continues to meet on the green to provide rentals for the Classics FUN-filled week of events. This year, we were thrilled to be the vendor of choice in providing linens for the St. Jude Hospitality Suite, ServiceMaster Hospitality Suite, and the FedEx Pavilion for the 57th Annual FedEx St. Jude Classic! While teaming up with our delightful partner, Simply Delicious, for catering, we provided linens for the Pro-Am party by ALSAC St. Jude! Mahaffey linens, tables, and chairs, along with Simply Delicious' catering, also helped in creating an intimate, at-home fundraiser hosted by Dan and Shirley Mullally with ALSAC St. Jude. Our top-of-the-line linens and staging accessories also mixed and mingled with top female executives and leaders in the Memphis community for Astellas presents Executive Women's Day! Mahaffey, along with Nolan’s AV Company, was honored to contribute to the FedEx tradition of naming one of its Feeder planes after a courageous St. Jude patient who is also the child of a FedEx employee. We were thrilled to watch as Allie unveiled the newly named plane at this year’s Plane Dedication ceremony! Mahaffey Tent and Party Rentals was proud to be part of yet another hole-in-one event!